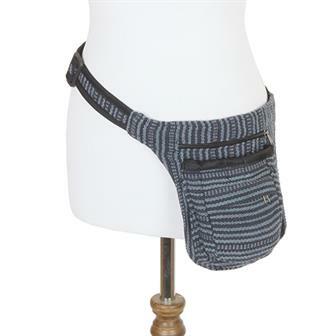 Here you will find our selection of wonderfully useful Fair Trade bum bags. 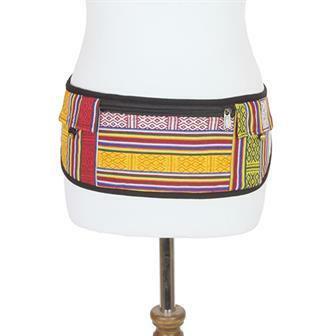 We have beautiful Thai hill tribe styles, Nepalese cash bags and utility belts or colourful Guatemalan designs. 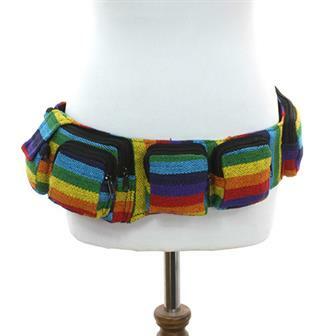 Tough, heavy cotton bum bag in mixed single colours, with adjustable strap and heavy duty plastic clip. Has a spacious single compartment with two zips. 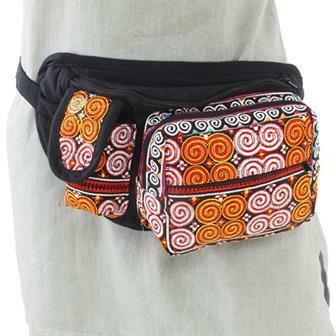 A firm festival favourite, these funky cotton Guatemalan bum bags come in mixed patterns. Each hip bag has three zipped compartments for organizing your valuables and a long adjustable belt strap with clasp. 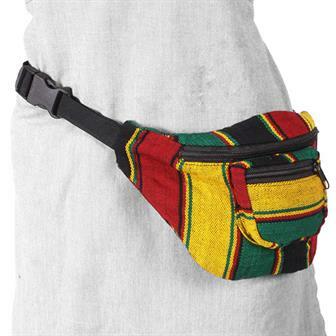 A firm festival favourite, these rasta coloured cotton Guatemalan bum bags come in mixed patterns. Each hip bag has three zipped compartments for organizing your valuables and a long adjustable belt strap with clasp. 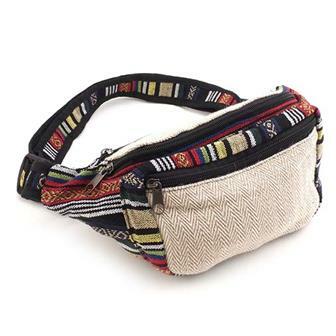 Made from beautiful Hmong hill tribe material in northern Thailand, these useful bum bags feature a spacious main pocket and two smaller front pockets as well as a phone holder and a plastic clippy clasp. 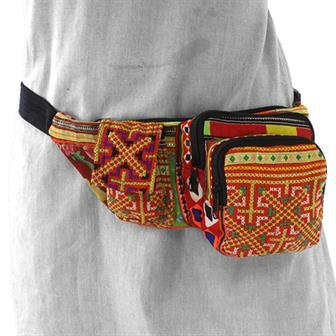 Made from brightly coloured Tibetan material, these Nepalese made cash bags are both useful and beautiful. Features zip pockets and button pockets. Really useful and super stylish! Our circle hip bags have loads of zip pockets and a space for your phone. 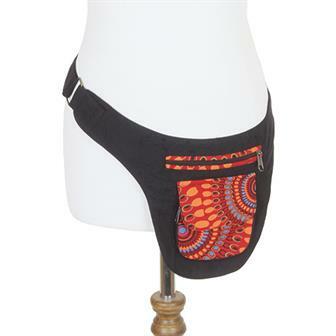 Perfect for keeping everything safe and together when out and about or at a festival. Always be prepared; boho style! Featuring loads of zip pockets and a plastic buckle, you can load this utility belt up with everything you need for any eventuality. 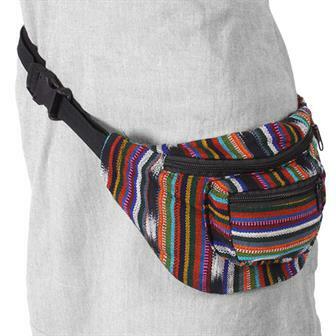 Perfect for festivals, treks or everyday work. 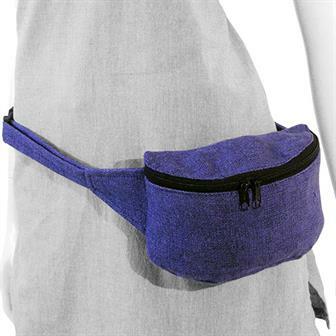 These useful bum bags have a multitude of zippy front pockets, one hidden back pocket and a mobile phone pouch. Perfect for keeping your stuff organised on the go. 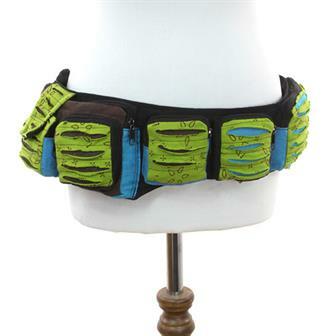 These ingenious bum bags feature two separate hip pockets and a velcro belt design. Each bag is made from tough gheri material and features both zipped and velcro sections. Featuring a spacious main pocket and several smaller extra pockets, this is a useful festival or holiday day bag. 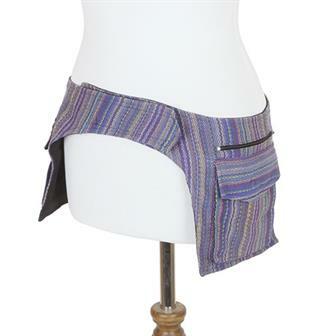 Made in a funky mish mash of colour combinations these distinctive pocket belts with ripped cotton decoration are super handy for when you don't want to carry a bag. Ideal if your a dancy person. The utility belts feature a plethora of zipped compartments and a tummy facing inner pocket to keep valuables like a bum bag. These great, slim money belts are perfect for keeping your valuables hidden when out and about. Available in a selection of colours, each one has been block printed with a radiant Om design. Features two zipped compartments and an adjustable strap. Fantastic heavy cotton adjustable pocket belt with popper buttons, complete with panels of geometrically printed mandala fabric. This cute little item is great when you need some extra storage space on your outfit with three zipped compartments to keep all your bits and pieces safe. 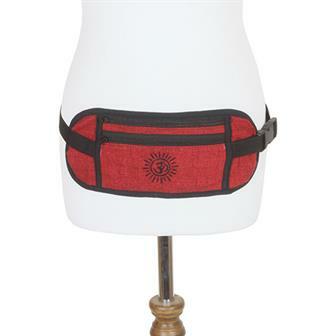 These brilliant bum bags are the perfect bit of kit for festivals or travelling. Made from a hard wearing mix of hemp and bold, colourful gheri cotton, each bag has two large zipped compartments, a zipped inside note pocket and an adjustable waist strap. 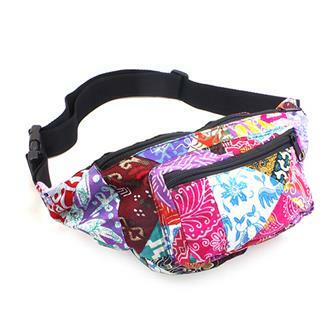 Made in a wonderfully bright and colourful mix of fabrics, these brilliantly useful bum bags are the perfect festival tool.